Take a walk in time by passing through remarkable entrances of kings, saints and slaves. Many doors have an astonishingly rich history. Over the centuries, Traitors' Gate, the notorious entry into the Tower of London, has been a gateway into a fortress, a royal palace and even a prison. The glorious and sometimes blighted history of doorways colorfully unfolds in profiles that richly tell the story of each history-rich portal. Other famous doorways featured include: The magnificent portal of al-Khazneh, carved into the side of a cliff in southern Jordan The entrance to Sankor� Mosque in Timbuktu, where 16th-century students entered to study underworld-famous scholars The door of the Castel Sant'Angelo, through which people fled to safety before invaders sacked Rome Cape Coast Castle in Ghana, where men, women and children stumbled out the door and onto slave ships bound forthe Americas Meridian Gate in Beijing's Forbidden City -- palace, government headquarters and tourist center The Kremlin's gold-encrusted entry, where subjects nervously waited for the infamous Ivan the Terrible The T-shaped doorway of the Cliff Palace in the southwestern United States, rediscovered by a cowboy in the late 19th century. 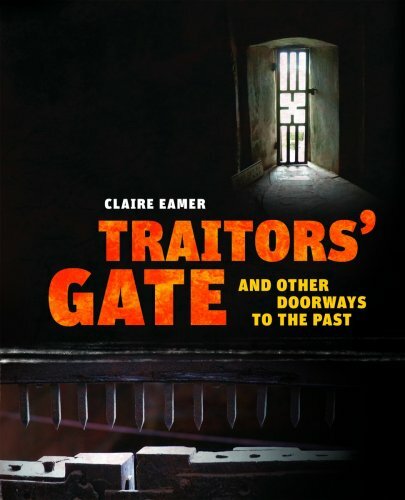 Filled with fascinating facts and surprising stories, and accented by a superb selection of photographs, Traitors' Gate is an irresistible doorway to the past.